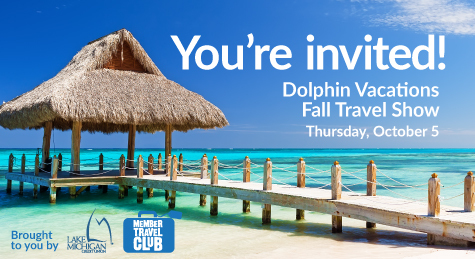 With over 22 travel vendors, door prizes, and six informative breakout sessions – you’ll be sure to discover great deals on vacation and travel destinations. Stop by! Just for attending you’ll be entered for a chance to win the grand prize give away of seven nights at the Grand Palladium Punta Cana, Dominican Republic. Second prize is a $500 Allegiant Air® travel voucher! Third prize is a $300 Delta Vacations® travel voucher! Plus, when you donate to the Food Drive for Feeding America West Michigan, you’ll be able to “spin the wheel” for an extra prize! Hope to see you there!